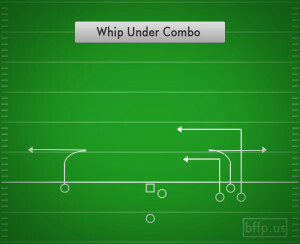 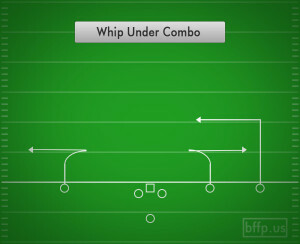 The Whip Under Combo play is a great play to get some horizontal flow in your route concepts going. 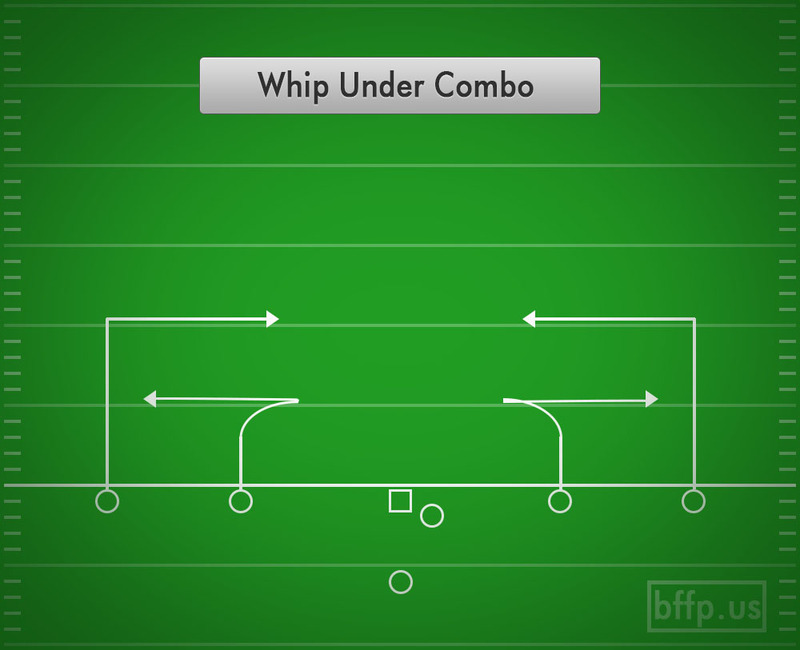 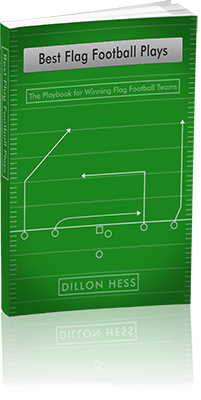 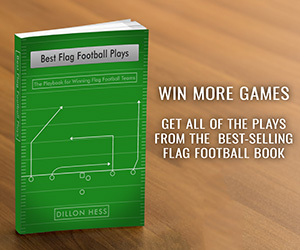 The crucial aspect of the play is the way in which the Whip Route is run by the Slot Receiver. The route must start of looking like an inside movement, but then the WR must plant his foot and spin (face toward the QB) and jet hard to the sideline. 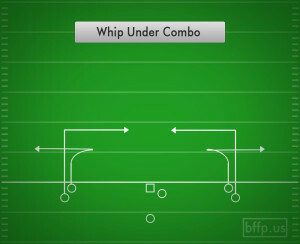 If the Slot Receiver is not able to get open with the Whip Route, then the horizontal movement underneath should clear out to reveal the outside Receiver open on the In Route.